It was only a matter of time before Toyota got its hands on the small SUV segment. For years it’s been missing out on the action. 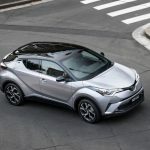 But now the Toyota C-HR has arrived it should do more than shake up the class. 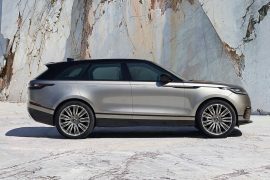 Yes, it looks like it was designed with a sword, and you can’t immediately tell if it’s an SUV or a couple or some kind of time-travel capsule. Rest assured though this is a very compelling proposition for the small SUV segment. Let’s get into it. 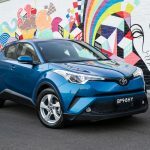 Toyota has given the C-HR some surprisingly low-sunken seats, with a relatively high centre console making you feel snug and fit into the vehicle as opposed to sitting on top of it. 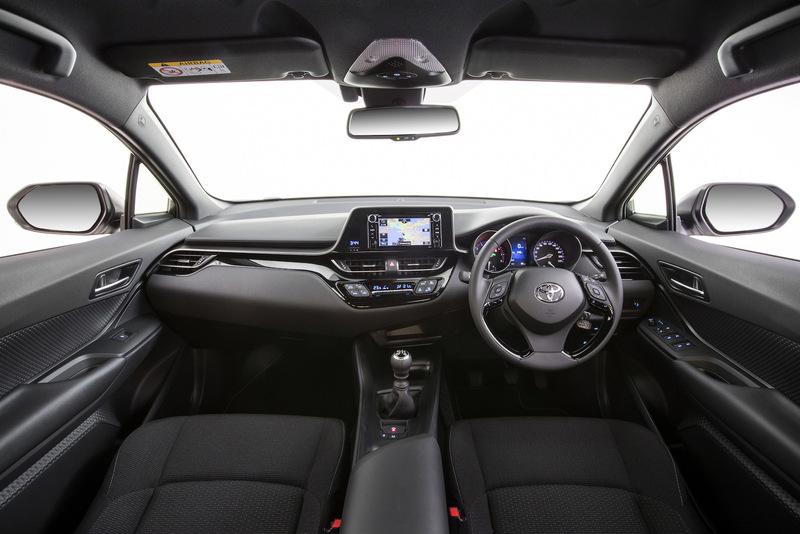 Headroom is more than adequate in the front and Toyota’s latest pushed-forward dash design does open up space, or at least create the feeling of spaciousness. In the back it is slightly above average in the class in terms of legroom. 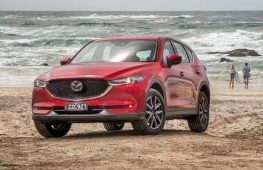 That’s not exactly an outstanding feat as the small SUV class is filled with many products that have restricted rear seating configurations, except maybe the Mitsubishi ASX which is quite large. As a result of all this, comfort is very high with good cushioning and support in all positions. Atop the dash is a tablet-style media touch-screen. 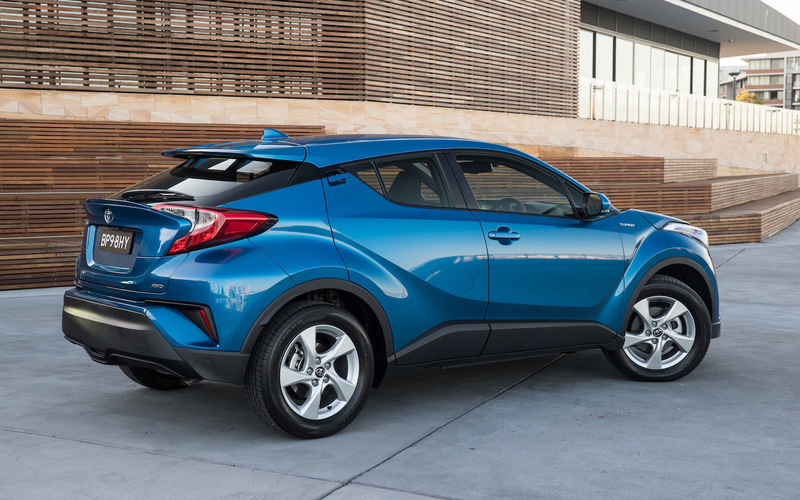 It’s not tacked on like, say, the one in the Mazda CX-3. It’s partly separated thanks to a swooshing dash housing. Toyota is always a bit behind on absolute media screen functionality and cutting-edge features. 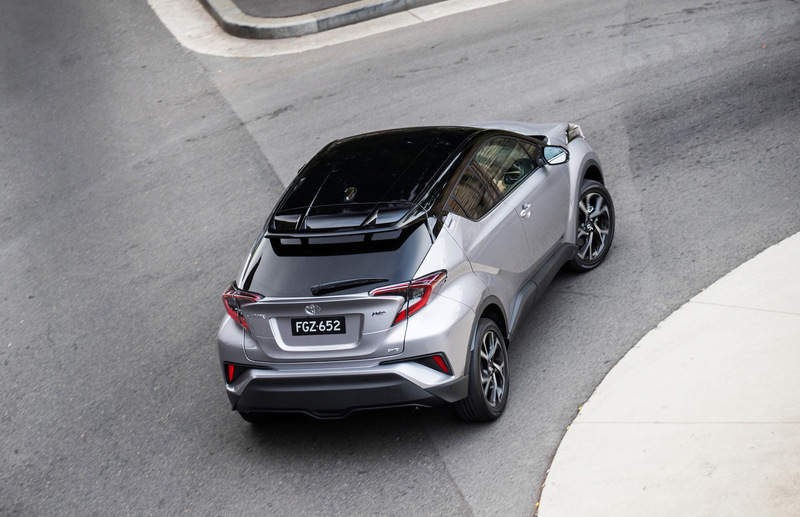 And the same can be said for the one in the C-HR. 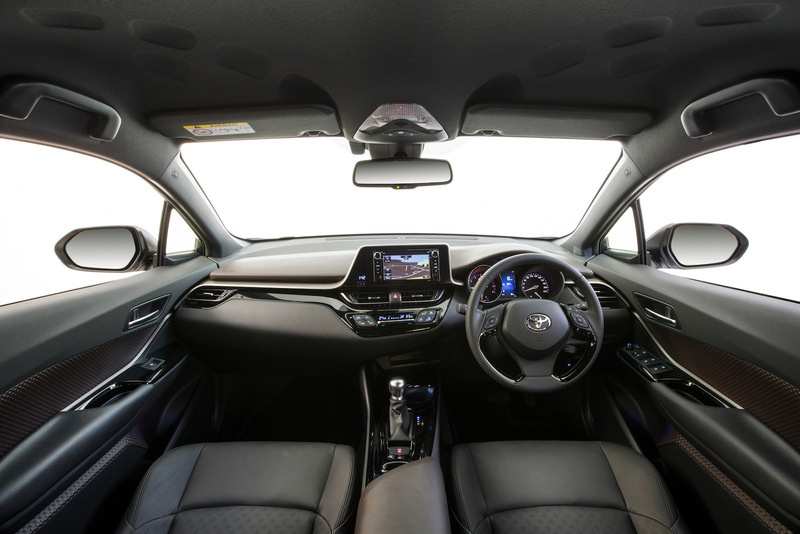 It’s not missing much, aside from Apple CarPlay and Android Auto, but you do get a standard rear-view camera and full connectivity with Bluetooth. 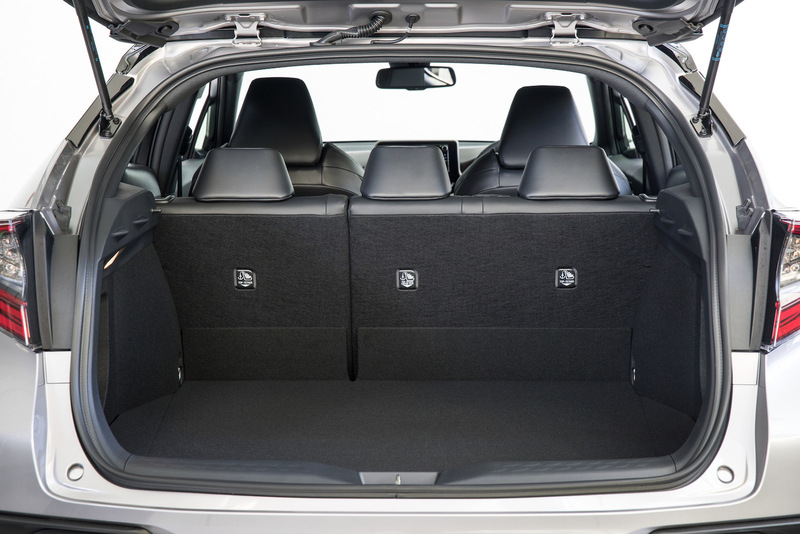 As mentioned, the seating is quite low and car-like, which will suit traditional hatchback drivers. But for those wanting a high-riding position there are rivals that will probably be more fulfilling for you. Rear seats passengers don’t get much of a view due to the swooping roofline and unique rear quarter windows, but actual accommodation is great for this class. 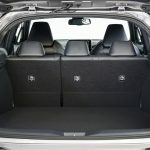 Headroom and legroom are above the class average as mentioned, with proper cup holders in both rear doors – very clever. Hmm, where do we start. It’s definitely different. And different is good for a Toyota. 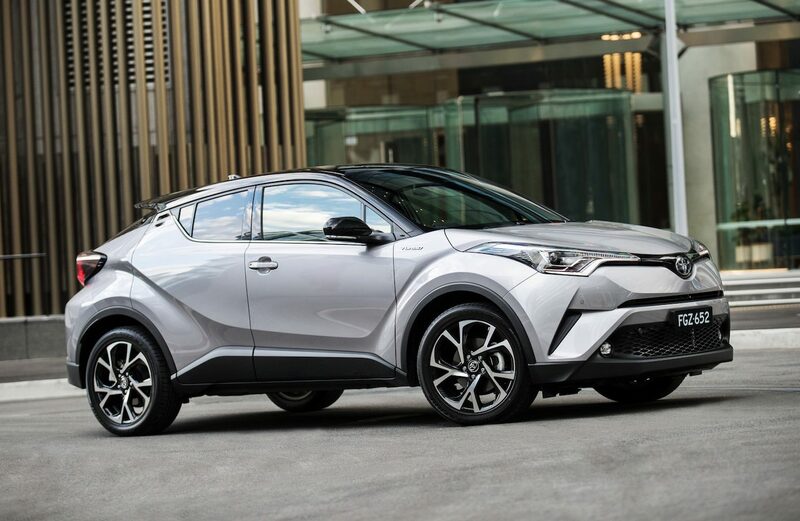 For years Toyota vehicles have been regarded as some of the most conservatively-styled vehicles on the market. 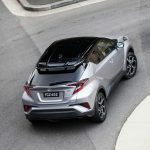 For the C-HR the designers are obviously trying to attract younger crowds, with lots of pointy edges and action going on with body lines. The more you look at though the more it does actually deserve real design merit. 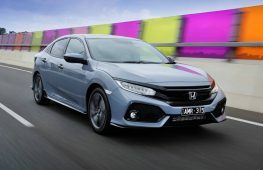 The pumped wheel arches give it a muscular, almost beach-buggy attitude, but the shapes and theatre of it all makes it very modern and precise. Check out the cool flush rear doors handles hidden in the door pillar. 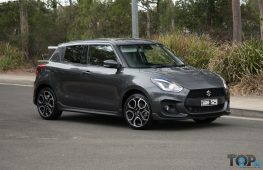 If you look over the car closely you’ll notice plenty of crafty examples of attention to detail, and there are some cool colour combinations to mix things up a bit including a black roof option. 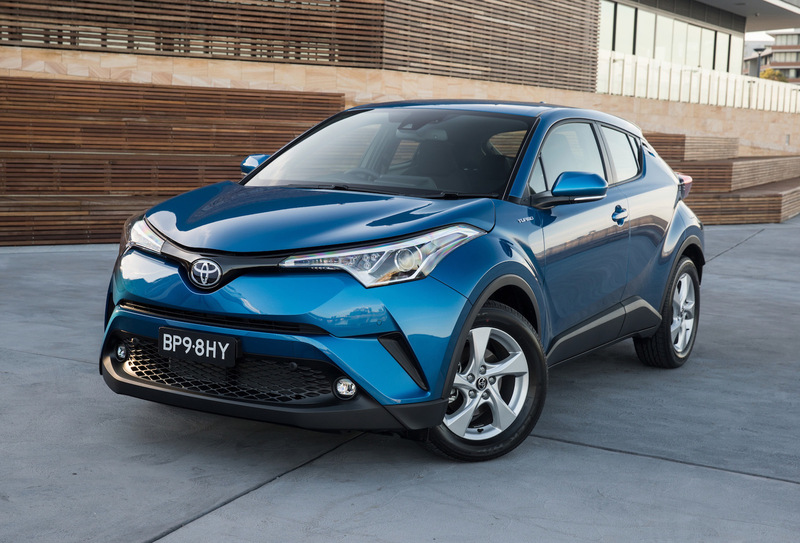 Again, this is refreshing for a Toyota, and it all helps the C-HR stand out in the class. Inside is just the same. 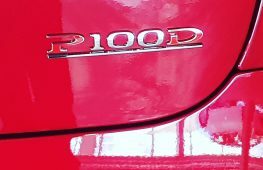 There are some really unique details around the place, such as diamond-patterned door trims and a moulded centre console, and good practicality points too such as the cup holders in the rear doors. In Australia we’re only offered one engine option. 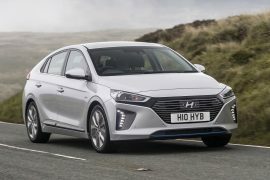 It’s a brand new 1.2-litre turbocharged four-cylinder that cutely coughs out 85kW at 5600rpm, and 185Nm between 1500rpm and 4000rpm. The power isn’t all that impressive but the torque is decent for this class. The spread of torque is especially noteworthy, allowing the engine to build speed from very low revs without much hesitation. This engine alone is a really good unit we think. It’s very quiet and super refined, but we do feel the C-HR is a little too heavy for it. 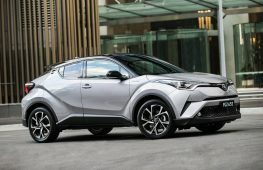 Not that the C-HR is heavy, at 1395kg for the manual. 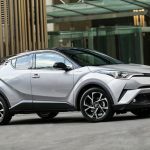 We drove both the manual and CVT automatic, and it seems like the CVT auto is likely going to be the most popular option. The fact that the entry model is the only model available with a manual reiterates that point. For most drivers the CVT is probably going to be best bet anyway as it seems to amplify that spread of torque by behaving a bit like an elastic band that’s been stretched right out, slinging the C-HR down the road as hard as you push the throttle, if a little delayed. 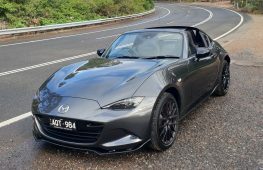 For the more energetic of drivers, the manual is more fun and obviously more engaging. It might not look like it handles all that convincingly, but being underpinned by Toyota’s New Generation Architecture, this thing is a real joy. It turns in with precision and holds the line solidly, with no bumps upsetting its balance at all. 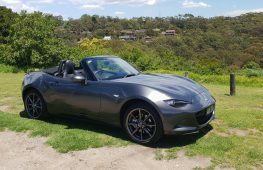 Steering with the modern three-spoke steering wheel is enjoyable too, with more than enough communication coming back through without overstepping it and becoming fidgety. 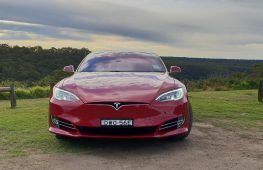 Highway cruising is surprisingly relaxing, with superb straight-line stability. This has to be one of the most refined drive experiences in this class. As mentioned above, highway cruising is serenely quite and smooth, with no rattles or intrusive wind noise disturbing the cabin ambience. The suspension is absorbent yet compliant, providing a peaceful and comforting ride quality but with good road holding. 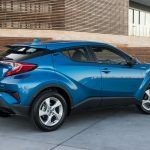 Toyota has done very well in engineering the C-HR. It will appeal to the older folk but also to the younger demographic thanks to its dynamic underpinnings. Toyota doesn’t often stand out in this department. It offers the industry-standard three-year/100,000km warranty. 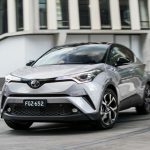 However, the Toyota C-HR is the first Toyota to be offered with its new five-year Toyota Service Advantage which includes annual capped-price services at just $195 each. 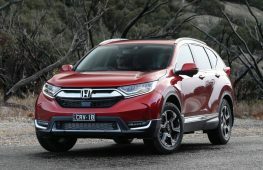 As for fuel economy, that 1.2L turbo engine might seem small and perhaps a little overwhelmed at times, but the upshot is outstanding fuel economy. The official rating is 6.3L/100km for the average cycle, while we experienced around 6.6L/100km in real-world conditions, in the manual. 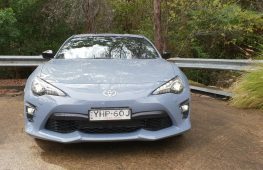 Toyota was one of the first manufacturers in this class to offer all models a rear-view camera as standard, and, believe it or not, adaptive cruise control with autonomous emergency braking. This is a real push up in benchmark that rivals will now have to step up to. As a result, ANCAP has of course awarded all variants the full five-star accolade. Superb value for money for buyers here. 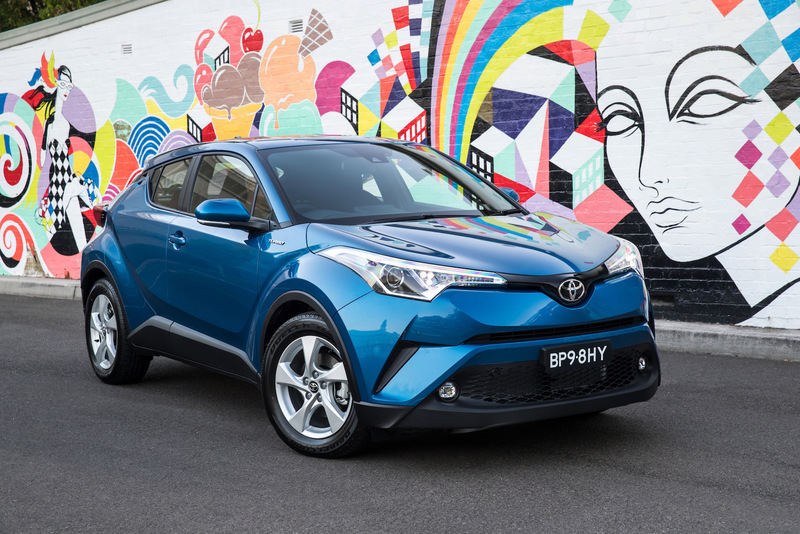 Toyota fits every C-HR variant with a comprehensive media touch-screen with sat-nav, a rear-view camera, blind-spot monitoring, Bluetooth and smartphone pairing with voice commands, and automatic on-off headlights and wipers, all as standard. This isn’t some cheap Chinese ripoff, remember. This is genuine Toyota. 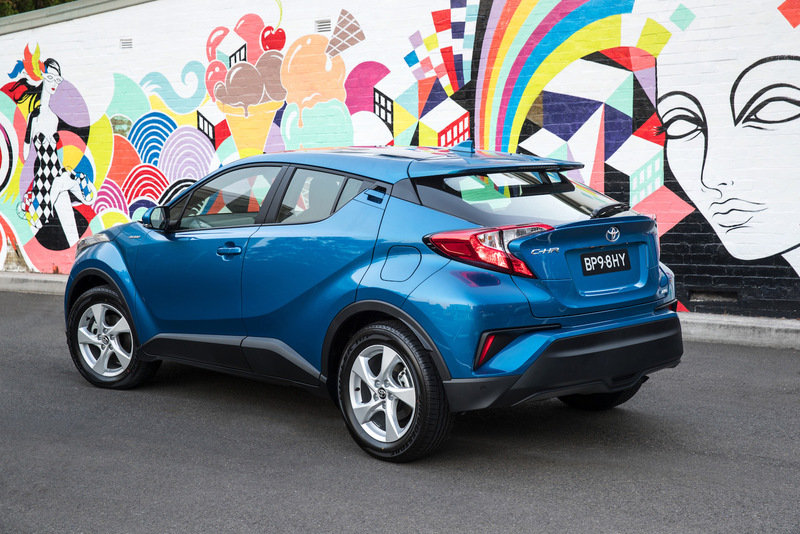 We think the value for money is one of the most attractive elements to the C-HR. 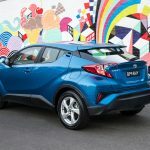 And the fact that it will likely last for decades before anything goes wrong – being a Toyota – that has to be added into the overall value equation. 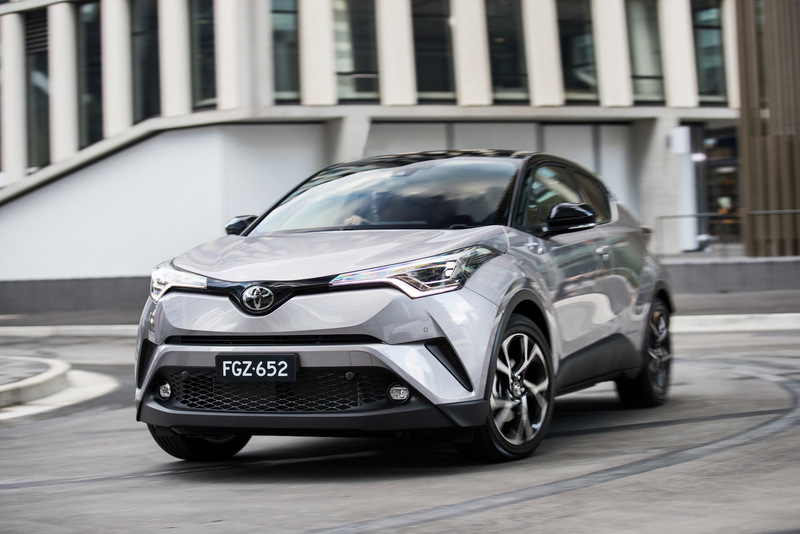 And this is despite its competitive starting price of $26,990, ranging up to $35,290 (before on-roads) for the flagship Koba variant (silver car, pictured). 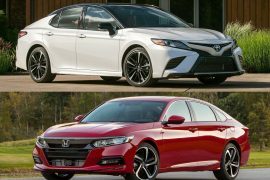 Both front-wheel drive and all-wheel drive options are available. 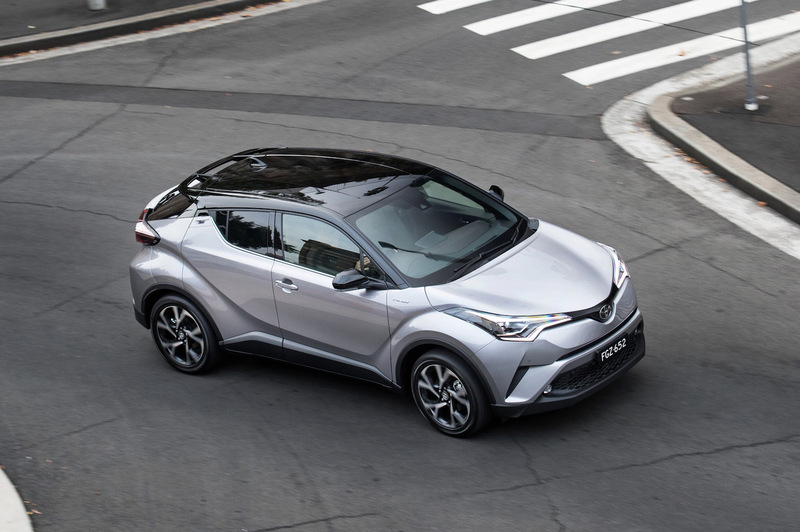 The C-HR is easily one of our favourite small SUVs on the market at the moment. It does many things very, very well, with very little drawback to report. 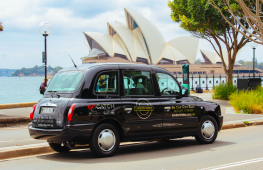 It’s a pleasure to drive, and comfortable, with some innovative touches to help give it some distinction against its peers. 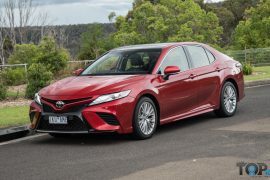 Best of all though it is feature-packed, and it’s a Toyota – one of the most trusted automotive brands to ever roll on this planet. 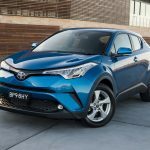 If you are looking to buy a new car and you live in Australia, we can help. Our dealer network and bulk-buying power can save you $1000s. And better still, you don’t have to haggle with salespeople – we’ll do it for you. Head over to our car buying page for a free, no-obligation quote! All ratings are calculated in comparison to vehicles in this specific segment. Check out the "Our Ratings" tab in the menu bar for more details on our scoring system.